Can you a build a better mousetrap? Find out in this fun-filled game of crazy mechanical gadgets and chain reactions. 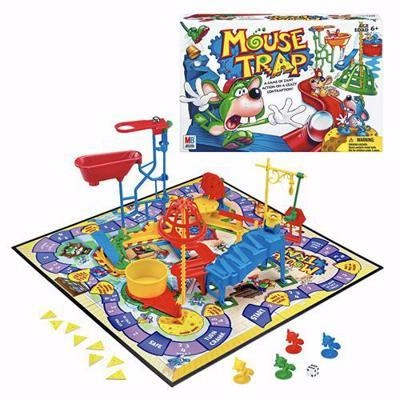 Race to the finish and nab your opponent's mouse before your own gets caught! 2-4 players. Ages 6 and up.